Mansfield, 3 @ Walpole, 9 – Final – Mansfield committed five errors and Walpole took advantage, scoring nine runs over the first two innings. Cullin Anastasia went 2-for-3 with an RBI and Aidan Cahill added an RBI and a run scored for the Hornets. Sharon, 5 @ Taunton, 2 – Final – Sharon scored a pair of runs in both the second and fourth innings and tacked on one more in the fifth to end the season with a win. Jake Marglous (1-for-2) drove in a pair of runs while Danny Emerman scored twice and knocked in one run. Max Tarlin (RBI) earned the win on the mound, striking out five while scattering eight hits in a complete game effort. Taunton, 13 @ Coyle & Cassidy, 0 – Final (6 inn.) – Taunton junior Kya Enos went 2-for-2, including a home run, and finished with three RBI to lead the Tigers to a big win over Coyle. Rylie Murphy (two doubles), Kelsey White (two RBI, two triples), McKenzie McAloon (double) and MacKenzie Handrahan (two RBI, double) and Hannah Aldrich (RBI) all recorded two hits for the Tigers. Pitchers Courtney Fisher (three innings), Jaylin Couto (two innings) and Kelsey White (one inning) combined for the shutout. Sharon, 3 @ Attleboro, 2 – Final (8 inn.) – Sharon overcame a two-run deficit, tying the game in the fourth inning and then taking the lead in the eighth inning. Sharon senior Jake Marglous had a two-run single in the top of the fourth to tie the game 2-2. In the top of the eighth, Danny Emerman (2-for-4) led off with a triple. Aiden Arnold brought the winning-run home. 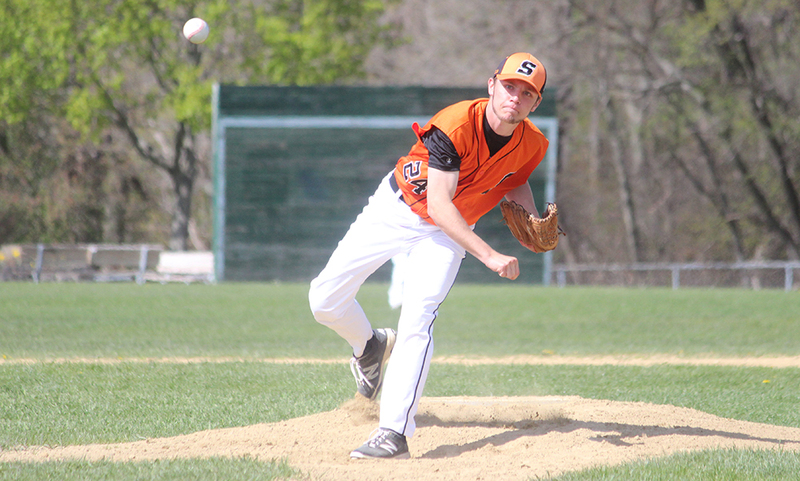 Sharon junior Max Tarlin had a strong day on the mound, allowing four hits without an earned run in seven innings of work. Tarlin struck out four as well. Brad Zongetti picked up the save with a scoreless eighth inning. 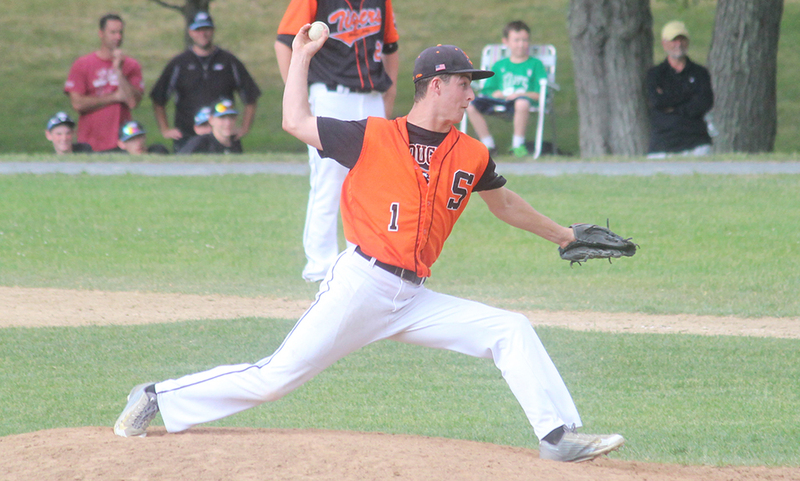 Attleboro’s Eoin Kelleher also had a solid day on the mound, going seven innings with four strikeouts, four hits and one earned run. King Philip, 11 vs. Walpole, 8 – Final – King Philip’s offense came alive, scoring a season-high 11 runs and connecting on six home runs in a win over Walpole. Betsy Walsh had two of those home runs and three RBI total, pacing the Warriors’ offense. Jess Bonner, Brooke Taute and Sydney Phillips all had home runs for KP as well. With the game tied, Meghan Gorman belted a three-run home run to put KP ahead. Elise Pereira earned the victory, giving up two runs in 5.1 innings of work. Milford, 9 @ Hopkinton, 4 – Final – Hopkinton took a 2-1 lead in the bottom of the third but Milford tacked on two runs in each of the next four innings to hand the Hillers their first loss of the season. All nine players in the Hawks’ lineup hat at least one hit in the win, totaling 15 hits as a team. Katie Irwin went 3-for-5 with a double and an RBI, Emily Piergustavo went 2-for-3 with a pair of walks, a two-run home run and three RBI total, Kelley Reichert had a pair of hits and a pair of RBI and Emily Hartman was 2-for-4 with a double. Ali Atherton earned the win, striking out six with seven hits allowed in 6.1 innings of work. Oliver Ames, 9 vs. Silver Lake, 6 – Final – Tied 3-3 at halftime, Oliver Ames’ offense exploded for six second half goals to split the season series with the Lakers. The Tigers had seven different players find the back of the net in the win, led by a hat trick from Colin Bourne. Liam Brown, Owen Gallagher, Jack Lang, Mike Young, Sam Stevens and Shane Kikelly each scored once for OA. Franklin, 8 @ Walpole, 2 – Final – The Panthers dominated the second half, scoring six goals while shutting out the Rebels. “The defense was overall very solid and played as a team,” said FHS head coach Kristen Igoe Guarino. Alex Field had three draw controls, four ground balls and two caused turnovers while Gianna Cameron recorded 10 saves in net. Annie Walsh netted a hat trick on the offensive end while Kendall Reardon and Kelsey MacCallum each scored twice. Jordan Jette and Erin Walsh each had two assists. Taunton, 3 vs. Norwood, 1 – Final – Taunton picked up its seventh win of the season with a 25-15, 25-12, 24-26, 25-23 win over the Mustangs. Lens Esquil paced the offense with 16 kills and two aces, David Fusiecki had nine kills, three aces and a block and Malik Charles had five kills, five aces and five blocks. Nate Grant set the offense up with 35 assists, five kills and an ace.